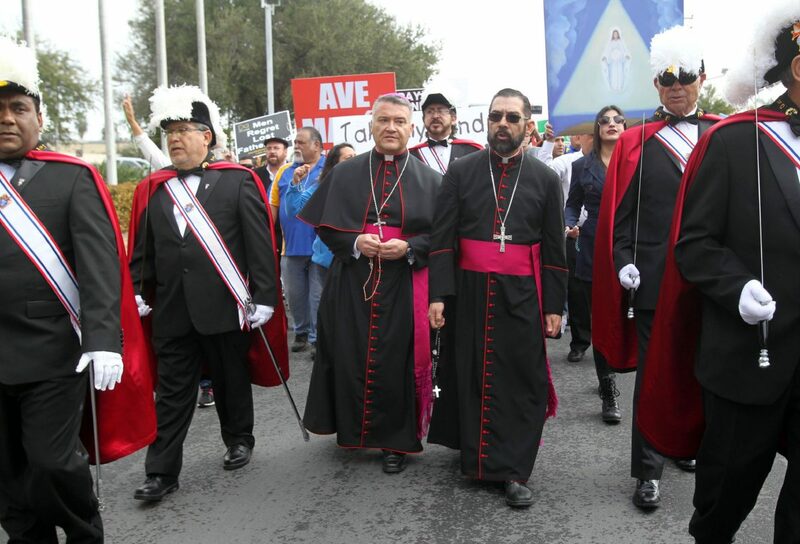 Bishop Daniel E. Flores of the Diocese of Brownsville walks with anti-abortion demonstrators during the March for Life outside the Whole Woman's Health clinic Saturday, Jan. 20, 2018, in McAllen. 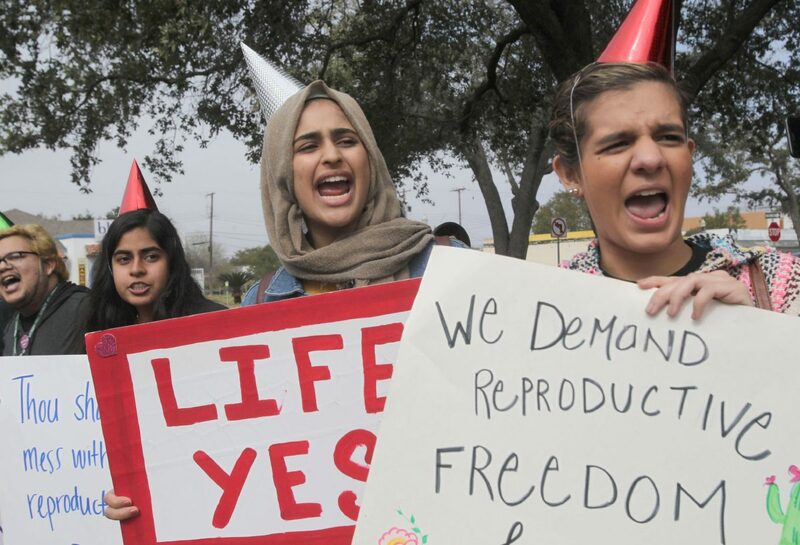 McALLEN — Forty-five years after the Roe v. Wade ruling, abortion access continues to be a contentious issue. 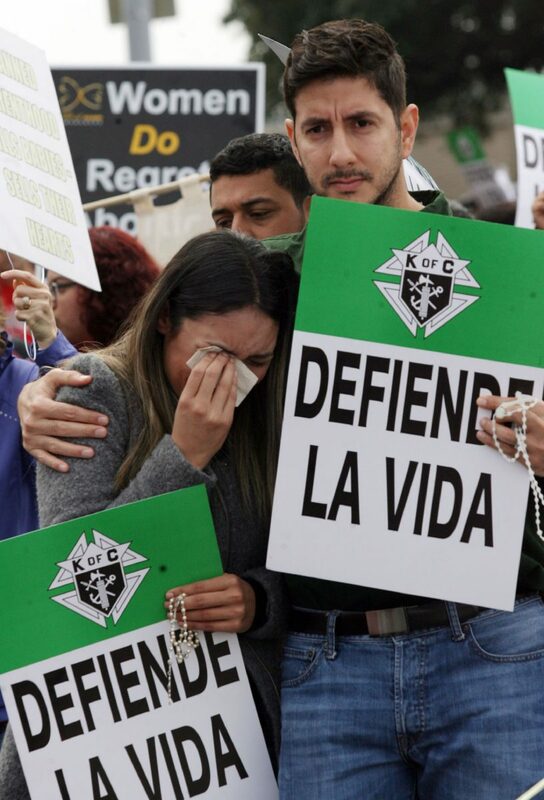 On Saturday, the divisions were apparent with anti-abortion marchers gathered under a white tent next to St. Joseph the Worker Catholic Church and pro-abortion rights supporters assembled several blocks away outside the Whole Woman’s Health clinic, the only abortion provider in South Texas. The landmark Roe v. Wade decision was handed down in 1973 by the U.S. Supreme Court, affirming the constitutional right of women to make her own personal medical decisions, including the decision to have an abortion. Angela Peña, of Weslaco, was among those gathered at the Catholic church. She is against abortion and said it should not be an option. 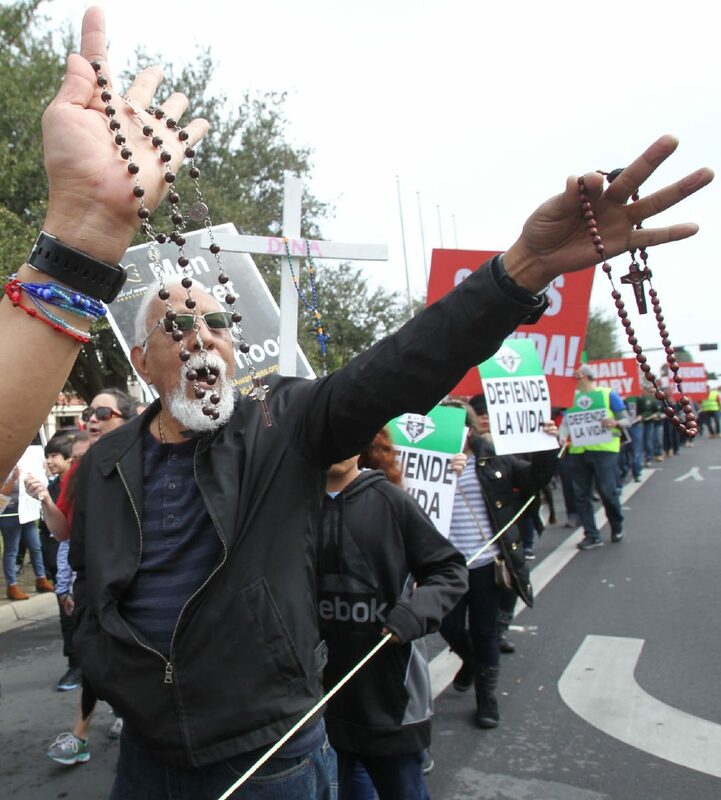 An anti-abortion protester holds up a rosary during the March for Life outside the Whole Woman's Health clinic on Saturday, Jan. 20, 2018, in McAllen. 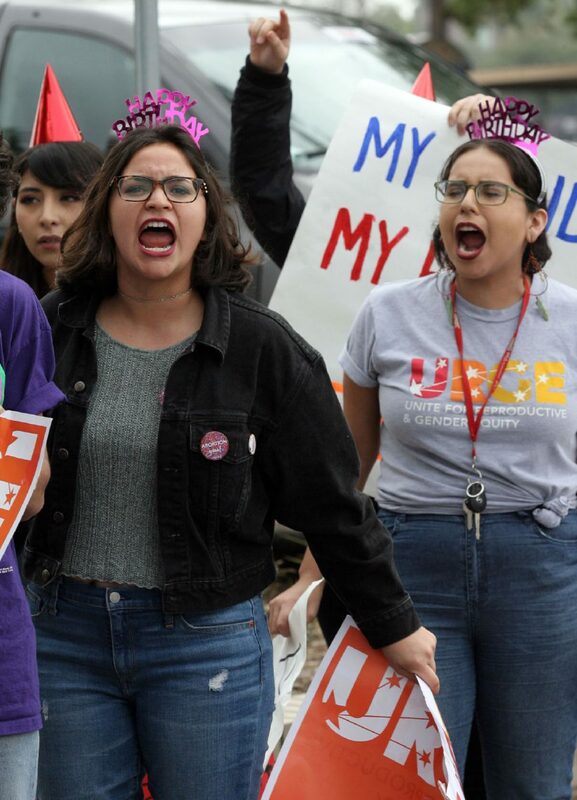 Pro-abortion rights protesters chant during the March for Life outside the Whole Woman's Health clinic Saturday, Jan. 20, 2018, in McAllen. 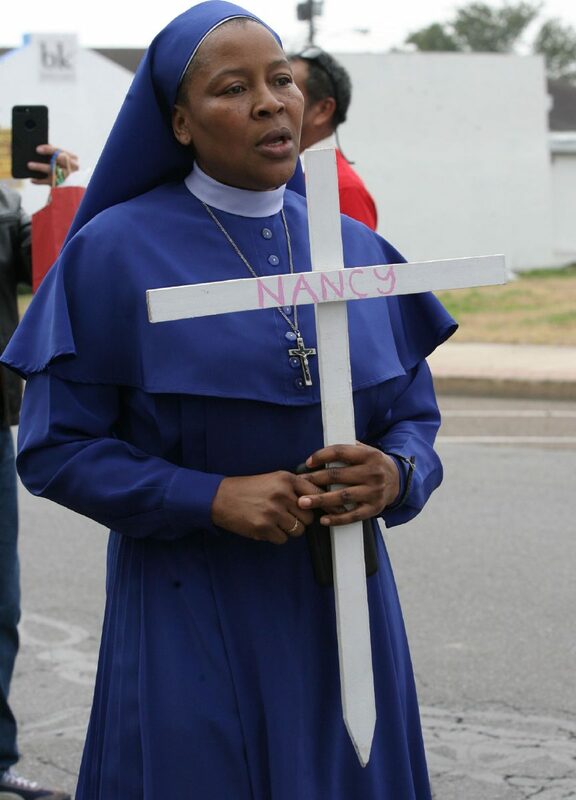 A nun carries a cross during the March for Life outside the Whole Woman's Health clinic Saturday, Jan. 20, 2018, in McAllen. Pro-abortion rights demonstrators hold signs during the March for Life outside the Whole Woman's Health clinic Saturday, Jan. 20, 2018, in McAllen. 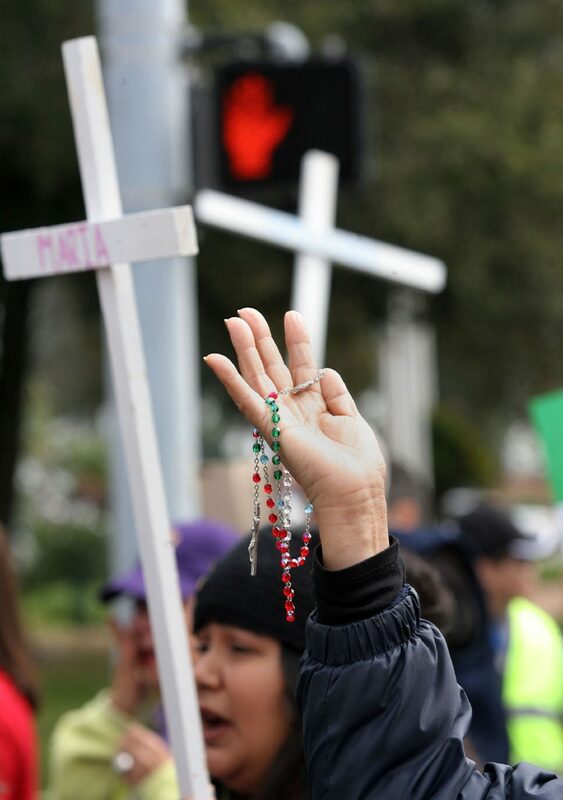 Anti-abortion demonstrators hold rosaries during the March for Life outside the Whole Woman's Health clinic Saturday, Jan. 20, 2018, in McAllen. 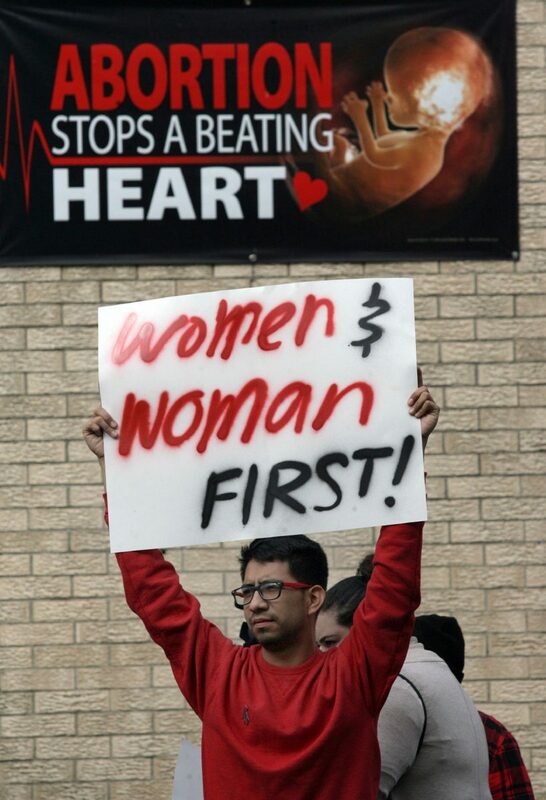 Josue Ramirez holds up a sign during the March for Life at Whole Woman's Health clinic Saturday, Jan. 20, 2018, in McAllen. An anti-abortion protester cries during the March for Life at Whole Woman's Health clinic Saturday, Jan. 20, 2018, in McAllen. A pro-abortion rights demonstrator wears a T-shirt expressing her position during the March for Life at Whole Woman's Health clinic Saturday, Jan. 20, 2018, in McAllen. As a mother and a grandmother, she said she wants to pass on the value of protecting life to the next generation. After gathering at St. Joseph the Worker Catholic Church, the anti-abortion group made their way through the streets to Sacred Heart Catholic Church, passing by the Whole Woman’s Health facility. The brief confrontation between the groups was verbal, with both sides articulating their stances and standing their ground. Giovanni Alaniz, of Mission, was with the pro-abortion rights group and said the reason he was protesting was to preserve rights. 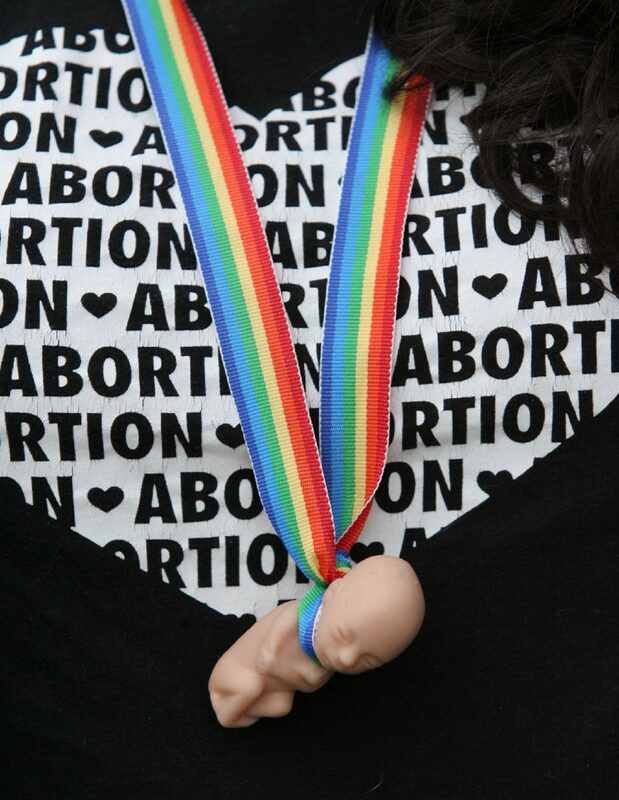 “I feel like everyone should have the right to an abortion — a safe abortion,” Alaniz said. The local March for Life was held in conjunction with the national The March for Life protest which was held Friday in Washington, D.C. and commemorates the landmark ruling.